You’re classy. I can tell by the way you clicked on this product. You were like, click. And now here we are. So let’s talk about this cool filtered one-hitter, you classy thing, you. 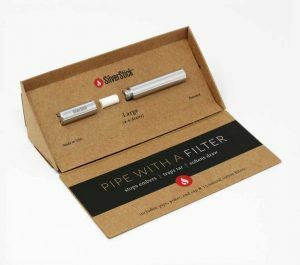 This is the SilverStick, a metal one-hitter with a filter! That’s right, the SilverStick unscrews to accommodate a replaceable filter in the middle. 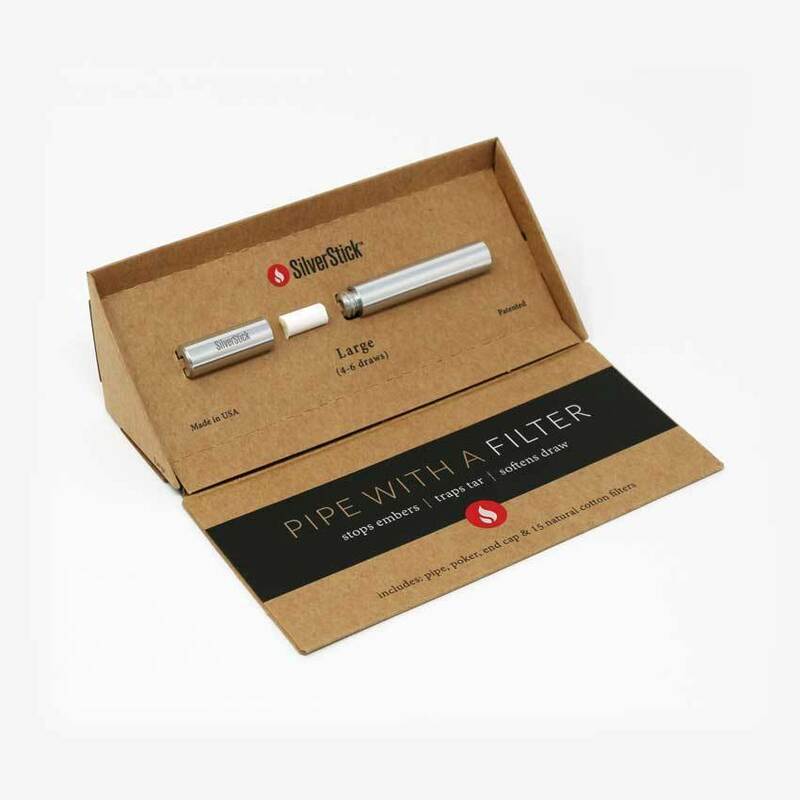 The filters are made of biodegradable unrefined cotton and do a few things to take your one-hitter game up a notch: they soften your inhale by diffusing the smoke; they prevent you from inhaling surprise embers; and perhaps most importantly, they filter out a ton of tar and gunk you’d be smoking from an unfiltered pipe. Think of how exciting it’ll be to take the used filter out and see all that schmutz you didn’t inhale! So yeah, the filter is dope. But also, this simple, sleek, beautiful metal one-hitter (which is really more of a four-hitter) feels great in your hand, and looks even better. And talk about a great gift wowie zowie! You can pick one up for about 25 bucks, so what are you waiting for?